Providing you the best range of airport trolley without brake, airport luggage trolley, container dollies, three wheels airport trolley and baggage trailers with effective & timely delivery. 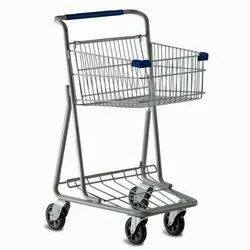 Airport Trolley without brakeUsed for carrying luggage of passenger at Airport. 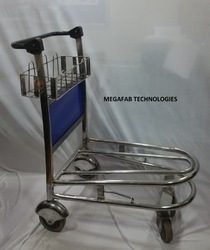 We are offering Airport Luggage Trolley. 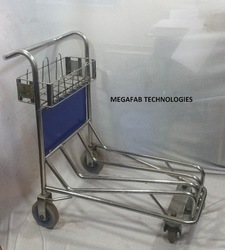 The offered airport luggage trolley is designed for carrying the passenger luggage on airports. Our supplied airport luggage trolley is made from superior grade Stainless Steel for ensuring longer serviceability and durability. 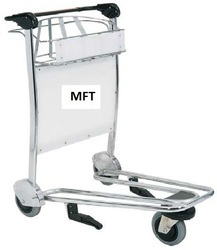 The offered airport luggage trolley is available at very cost effective market selling rates. 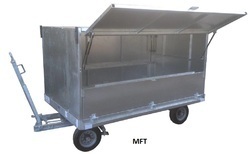 We feel proud to introduce ourselves as the well-known manufacturers and suppliers of Container Dollies. The offered container dollies are commonly used in the construction and manufacturing industries for carrying weight. Our supplied container dollies are equipped with wheels to ensure easy movement. The offered container dollies are hard wearing constructs.